The project, which is scheduled to take eight years to complete, will be split into four phases. The first and current phase is renovating the southwest quadrant of the building, which will be closed off to the public through the end of 2019. Included in the renovations are window repairs, adding fire sprinklers to the first three floors of the building, a new fire alarm system and most notably: replacing the current heating and cooling system that was last updated in 1963. A geothermal system will replace the current HVAC system, and according to Capitol Administrator Bob Ripley, it will be more energy and cost efficient. “We estimate it will pay for itself in 7 or 8 years in heating and cooling cost savings,” Ripley said. 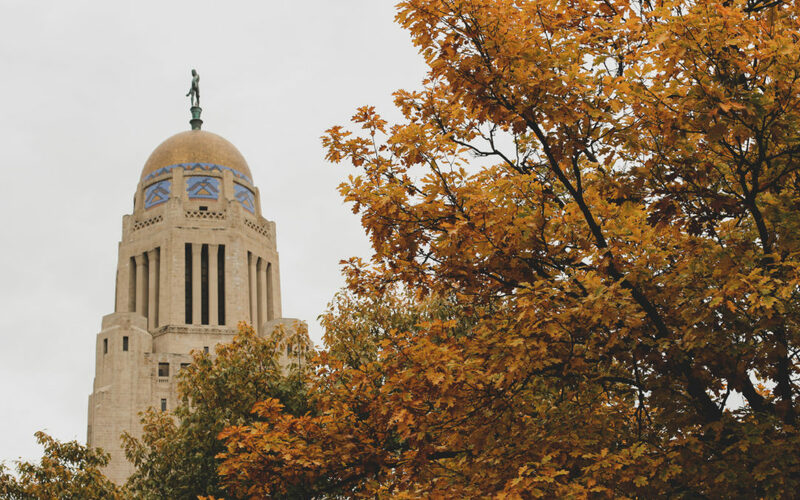 Due to the renovation, multiple state agencies moved out of their Capitol offices for the eight-year period it will take to complete. Some state senators then moved into the offices state agencies vacated. Ripley said if you plan on visiting a senator whose office has moved, make prior arrangements as the accessibility in the tower can be restricted. Due to the renovation, meeting rooms will not be available for the next few years. How Can Catalyst Public Affairs Help? Meeting rooms at the Capitol are commonly used to host luncheons and meetings with senators, and it may be hard to find a place to host those events. Catalyst Public Affairs has a conference room that can seat up to 20 people and is conveniently located right next to the Capitol. Please do not hesitate to get in touch with McCartney at 402-261-5293 or mmartin@catalystnebraska.com about reserving the room as we would be more than happy to host your group. Get in touch soon, as it is booking fast!